I have a Cisco IP Phone 7962 is the Plantronics CS55 or CS50 headset compatible? Yes. 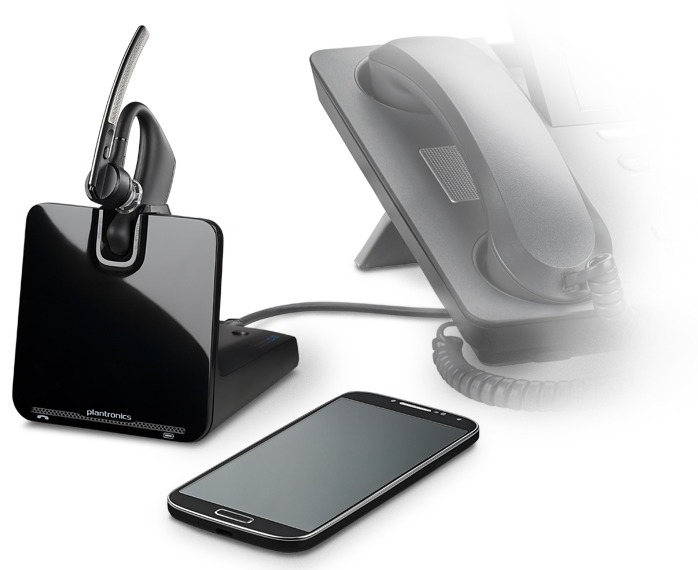 The Plantronics CS55 is compatible with the Cisco telephone you have. If you want to answer remotely in order to hangup/pickup from the headset while roaming the office you'll also want to get the EHS adapter for Cisco phone by using Plantronics APC-43 (replaces the APC-41 & APC 4). Plantronics no longer manufacturers the CS55 nor CS50. See replacement models below. For instructions on using the APC-43 with your Cisco phone download the Hook Switch Guide. The Plantronics APC-43 is compatible with the following Cisco phones: 7942G, 7945G, 7962G, 7965G, 7975G and other phone models are compatible. Please review the Plantronics Hook Swith Guide for additional compatibility details. Other Cisco phones require the HL-10 remote lifter to allow the headset to pickup/hang-up calls. For instructions on using the APC-43 with your Cisco phone download the Plantronics EHS Hooks witch Guide. If you have questions about your Cisco phone compatibility and which accessory is required for your phone feel free to start a chat session or call us 703-766-6363. Global Teck Worldwide provides a ProSetup Service that walks you through the complete installation of any headset on our website. All items mentioned in this article are available online for purchasing.